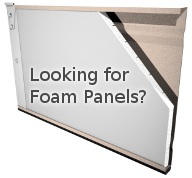 We also carry foam panel garage door insulation kits. 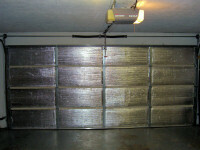 Energy Efficient Solutions now offers garage door insulation kits. These door insulation kits fit virtually all single and double garage doors. The insulation can be attached using either the included screws or tape. 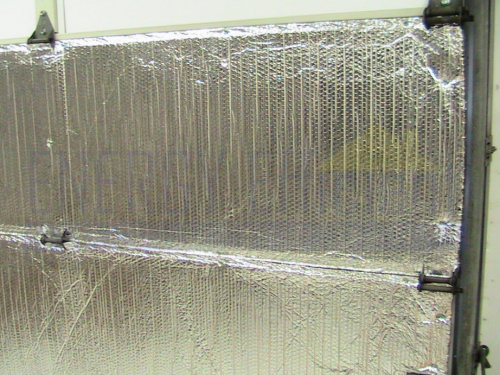 Made with double bubble, double sided foil radiant barrier, this insulation kit helps keep heat out in the summer and heat in during the winter, making your garage more comfortable all year. Option 1 - Run one strip across the whole door and attach with screws. Option 2 - Cut material to fit inside each panel and tape to hold in place. Made from Double Bubble Foil Bubble Insulation. Single car garage door kit fits doors up to 10 ft wide x 8 ft high. 2 car garage door insulation kit fits doors up to 16 ft wide x 8 ft high. In addition to the heat reflecting properties of the Radiant Barrier, it has an R-Value of 6.7*. 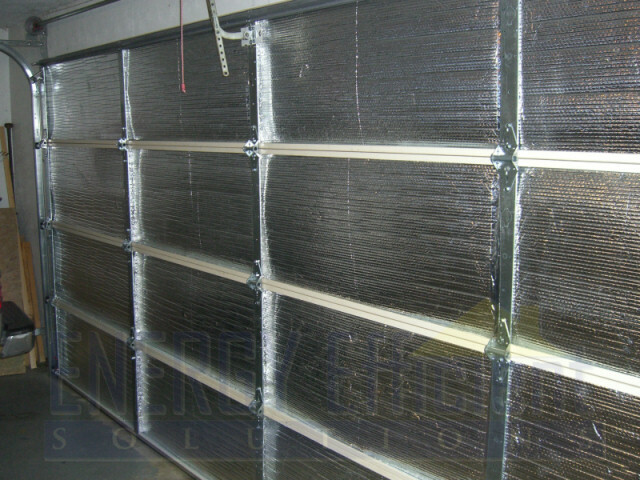 Insulate garage doors for reducing heat gain in the summer and heat loss in the winter. Double Sided Double Bubble Radiant Barrier insulation - 24" x appropriate length. * Thermal R-Value determined according to ASTM C236 standard.